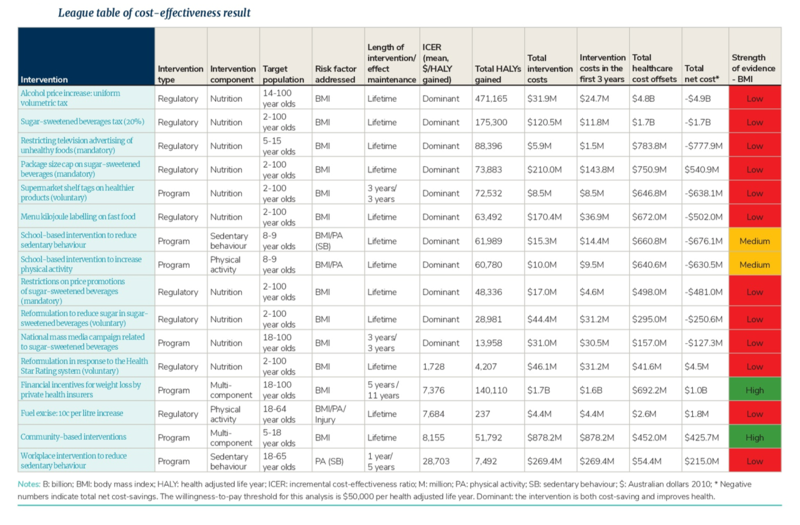 Obesity has serious health consequences , and a substantial economic impact on Australia. ACE-Obesity Policy is a priority-setting study that aimed to evaluate the economic credentials of a range of obesity prevention policies (including both regulatory and program-based interventions), across multiple sectors and multiple areas of governance (local, state and federal governments, and the private sector). 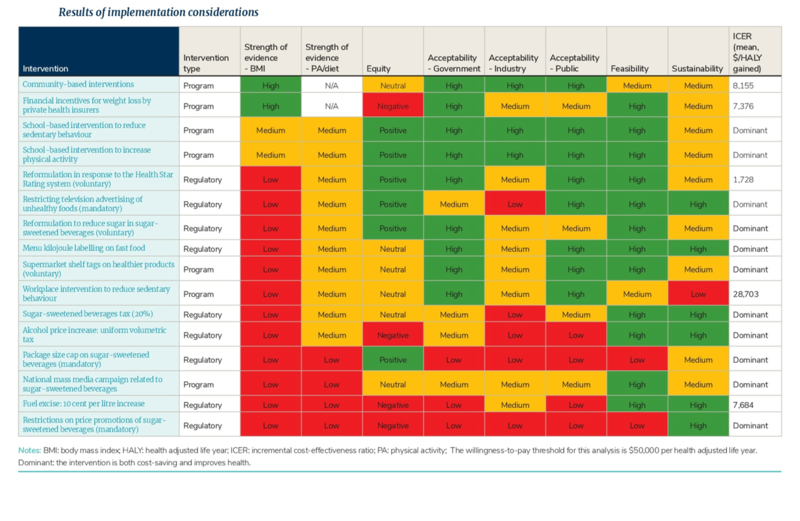 Download an electronic version of the Assessing Cost-effectiveness of Obesity Prevention Policies in Australia (ACE-Obesity Policy) report. 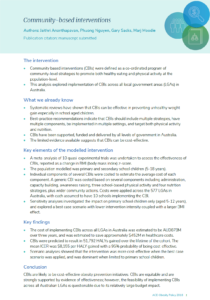 The results from each of the obesity policy interventions evaluated are presented in four-page summary reports. These reports are designed to provide an overview of each intervention. Download a pdf version of the league table here. Download a pdf version of the results of implementation considerations here.